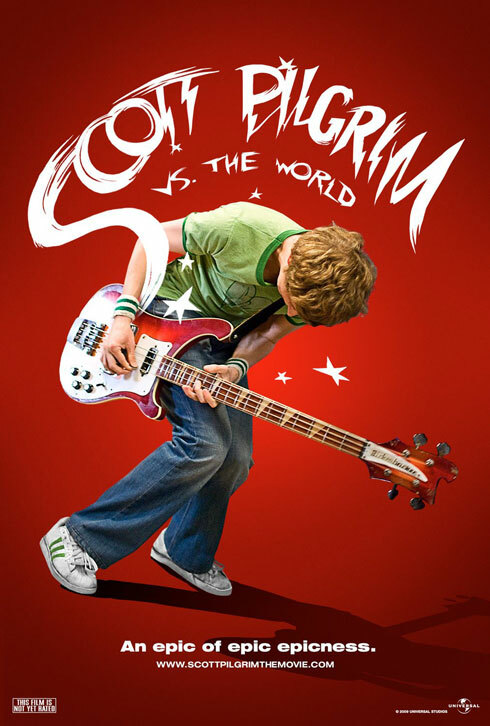 I’d been dying to see Scott Pilgrim vs. the World since I saw the first trailer for it last March. I didn’t get to see it in the theaters this summer, but I last week I finally got to sit down and watch it on Amazon streaming. Since then, I’ve watched it at least 2-3 more times. In short, I love this movie. It’s fantastic – one of the most unique movies I’ve ever experienced and one of my favorite films of recent memory. And while I can see why it wasn’t a mainstream hit, it’s a travesty that crap like Little Fockers earn three times more than it at the box office.